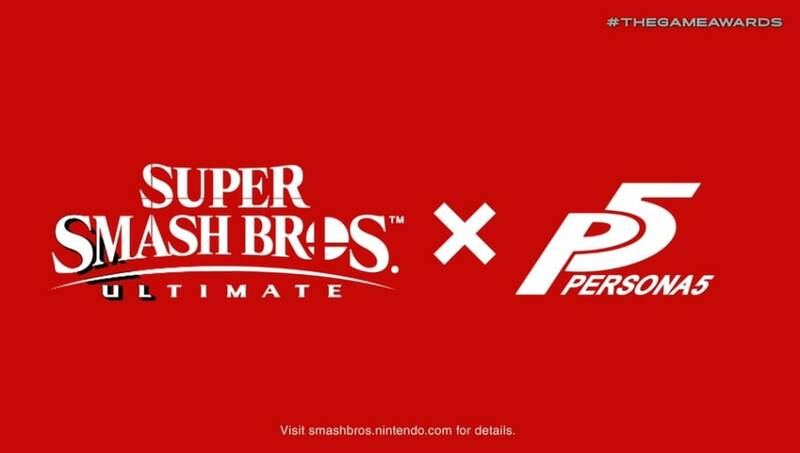 Joker from Persona 5 will be in Smash Ultimate as a DLC character, NIntendo announced Thursday at The Game Awards. ​​The protagonist of Person 5, the Joker, was revealed as the first Super Smash Bros. Ultimate DLC character. Joker will be included in the Smash Ultimate Challenger Pack 1. The announcement trailer featured a few characters from Persona talking before Joker revealed an invitation with the Super Smash Bros. logo on a wax seal. Joker is the first DLC character announced for the game outside of Piranha Plant, who players ​can obtain for free. Reggie Fils-Aime came on-stage after the trailer and announced the Super Smash Bros. Ultimate Fighters Pass DLC pack will feature five new characters to the series, with Joker being one of them. They are characters players "wouldn't anticipate" being included in Smash Ultimate. All five character packs will be released between now and February 2020. The pack will feature various music tracks and a new stage. Players can purchase the characters individually for $5.99 or purchase the Fighters Pass for $24.99 to receive all of them.